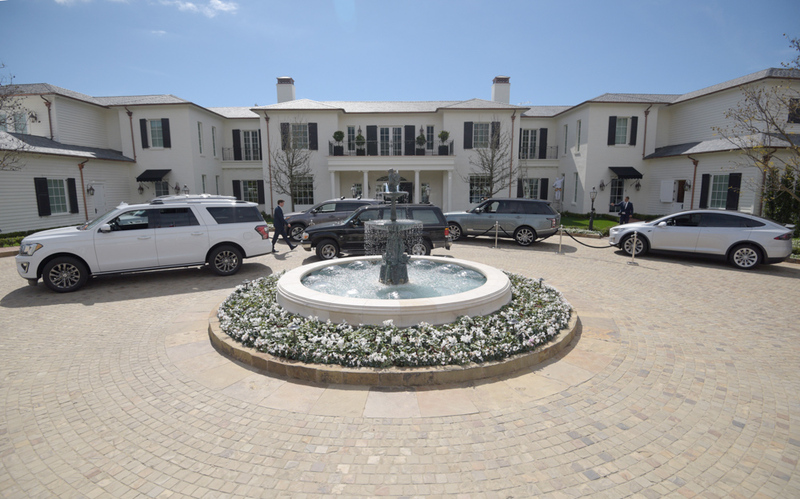 The Miramar merges the ultra-luxury of a top-tier resort with the comfortable touches of a private home. Everywhere you look in the new Rosewood Miramar Beach resort, there’s Rick Caruso ― from his family crest set in black marble flooring and wide windows overlooking the Pacific to photos of his four kids hanging in the chic Manor Bar to the man himself, on February 28, hovering above in a helicopter before touching down and toasting the luxury hotel’s highly anticipated opening with a lawn full of invited guests. The Los Angeles real-estate magnate, dressed in a sleek blue suit and checkered tie and sporting a very non-wintery tan, spent nearly an hour shaking hands before Managing Director Seán Carney introduced him to the crowd. “Hi, Rick!” they responded. There’s no one way to describe the Miramar’s architecture; it borrows from a handful of influences. The property feels vaguely Cape Cod-ish, makes obvious nods to surrounding Montecito estates, and reflects design choices by revered California architect Paul Williams when he redid the Beverly Hills Hotel in the 1940s. The sweeping curved staircase in the foyer of the Manor House, where guests check in, was made using one of his 1933 blueprints for a Southern Colonial–style estate. The hand-drawn plans are framed nearby. 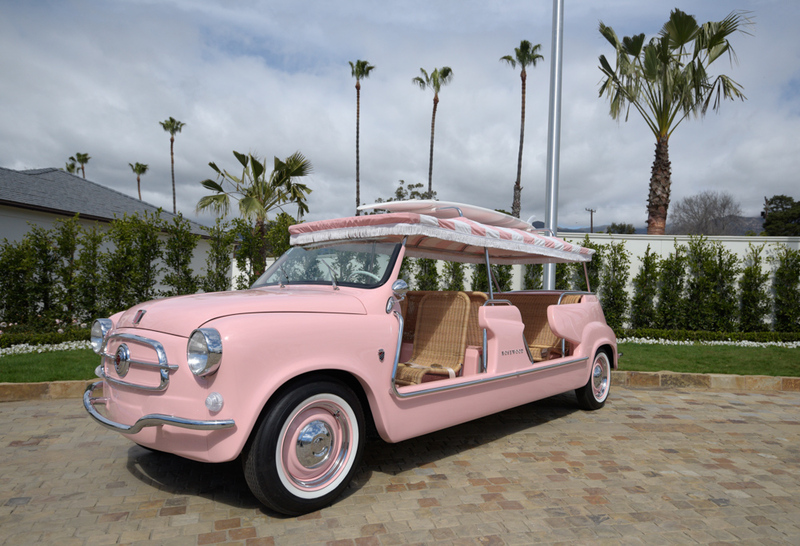 The hotel has three open-air “Jollys” that chauffeur guests around Montecito. This residential aesthetic starts at the Manor House’s black lacquered front door, continues through the living room area with its piano and fireplace, and spreads to all four corners of the property’s 16 acres. The majority of the 161 rooms are multi-bedroom bungalows set along stone paths that meander under oak trees, while 26 suites with personal balconies and complimentary cocktail service sit right over the sand. There’s a full spa, a massive gym, a bocce ball court, two cabana-lined pools (one for families, the other for adults), and seven total restaurants and bars, including one just steps from the beach and another that serves fish tacos and locally made ice cream. Much of the grounds and many of the amenities are publically accessible. The art collection includes original works by Mel Bochner, Fernando Botero, and Norman Rockwell. Set right next to Highway 101 and bisected by train tracks, the Miramar somehow retains the serenity you’d expect from a seaside resort. The roar of cars is largely blocked by tall walls and dense landscaping while the entire property was raised a few feet to sit level with the tracks so trains wouldn’t loom over everything. Rooms are installed on “base isolators” to cut down on vibrations, and the buildings incorporate the same noise-cancelling technology used in super yachts. The area has also been designated a “quiet crossing” by railroad operators, meaning fewer horn blasts. This is the first hotel venture for the 60-year-old Caruso, who Forbes says is worth $4 billion and who bought the property from Beanie Babies tycoon Ty Warner in 2007 after Warner gave up on the contentious planning process. Before Warner, there was Ian Schrager of Studio 54 fame. Schrager bought the Miramar in 1998 and closed it in 2000 to make renovations, but work stopped when the economy went south and the patch of land, full of half-demolished buildings, was left as a festering eyesore for years to come. Caruso received a fair amount of criticism during the approval process as he haggled hard with county officials over parking requirements and tax concessions, but those memories have been largely washed away with the opening. Caruso declined to talk about how much the Miramar cost to rebuild, but early estimates put it in the $200+ million range. Rooms start at $800 a night, with a grand suite costing more than $5,500. His team notes the business has created more than 300 full-time jobs and generates a considerable amount of tax revenue for the County of Santa Barbara. The operator, Rosewood Hotel Group, is a Hong Kong–based chain with luxury resorts in 15 countries. The Miramar is its third in California, and it has 22 more in development across the globe. 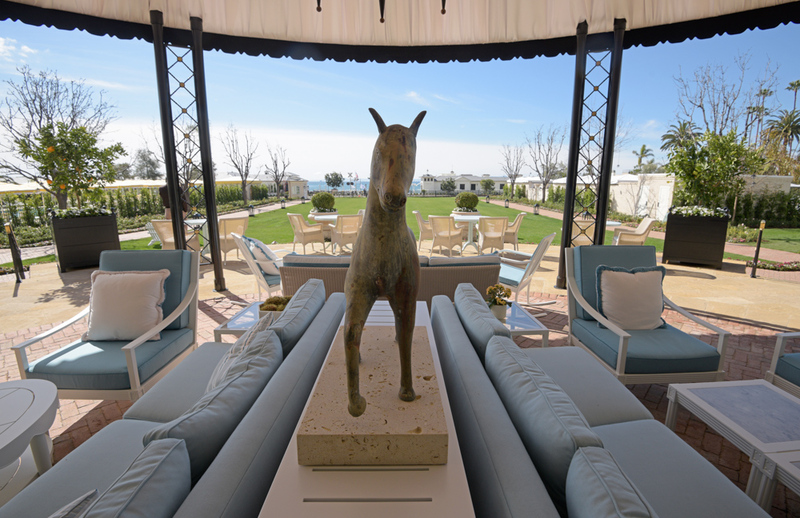 It’s Caruso’s hope that the Miramar receives the five-star and five-diamond ratings that all top-level hoteliers crave. All around the property are homages to the original resort. That’s a far cry from Miramar’s original accommodations, which date back to 1876, when a young couple ― landowners Josiah and Emmeline Doulton ― built a few small cottages on their property to house visiting friends and family. The Doulton’s named the place Miramar, or “behold the sea” in Spanish. The cottages grew in number over the years until the Doulton family sold the slice of Montecito shoreline in 1939 to Paul Gawzner, who built it out as a resort and added a pool. For the last half of the 20th century, it remained a modest getaway for newlyweds and working-class families. 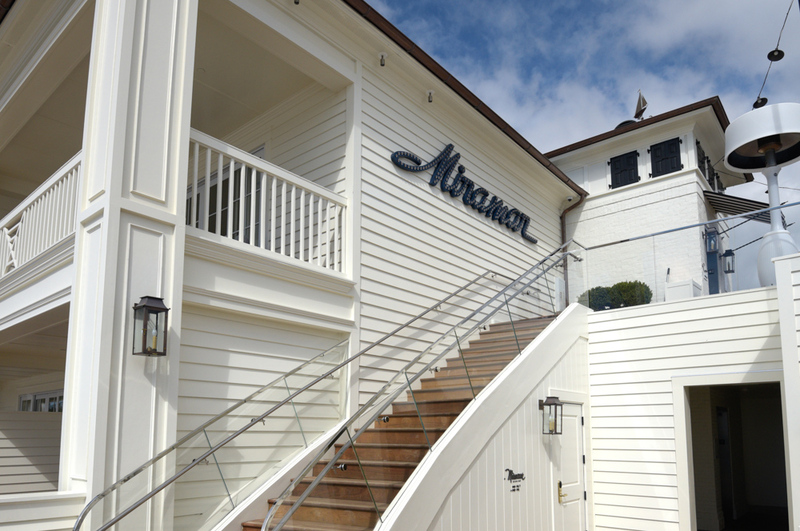 Rosewood Miramar Beach is now open at 1759 South Jameson Lane in Montecito. 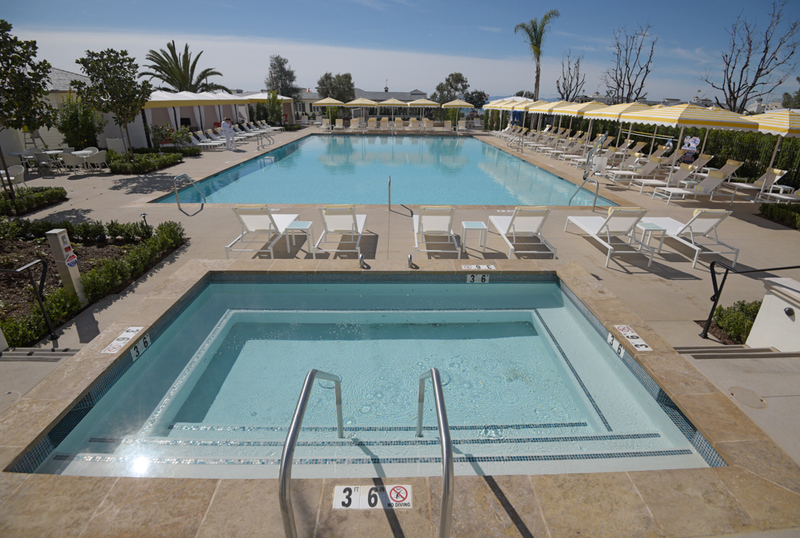 Call (805) 900-8388 or visit rosewoodhotels.com/en/miramar-beach-montecito.